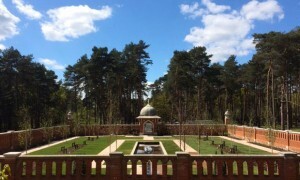 You are here: Home » News » Volunteering at Horsell Common Update! 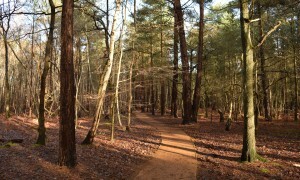 Volunteering at Horsell Common Update! 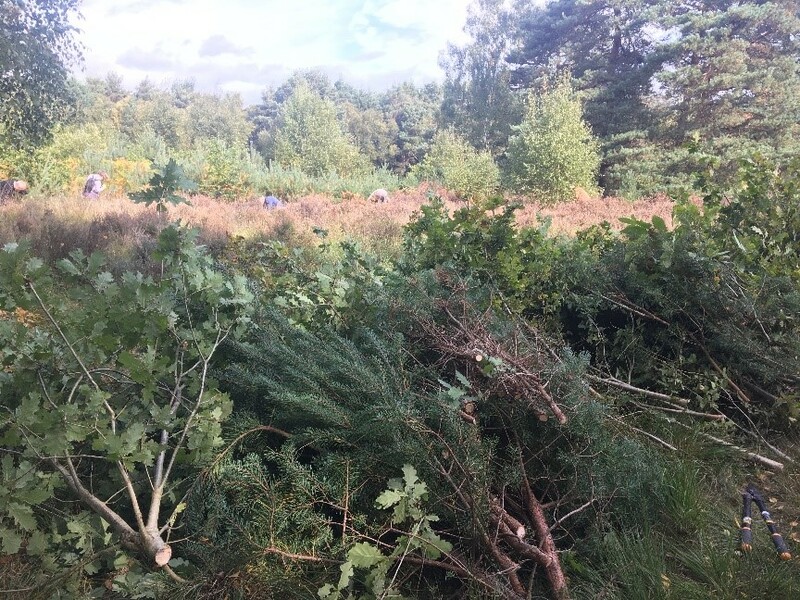 We had a great turn out of volunteers this week, where the task was removing sapling birch, oak and Scots pine from an area of heather. At tea break entomologist Andrew educated us about some fascinating wildlife that you may easily overlook! Come and join us on a Tuesday or Sunday! A gall is an abnormal growth produced by a plant under the influence of an organism (virus, bacterium, fungus, plant or animal, particularly insects and mites); it involves enlargement and proliferation of plant cells which provide shelter and food for the gall maker. 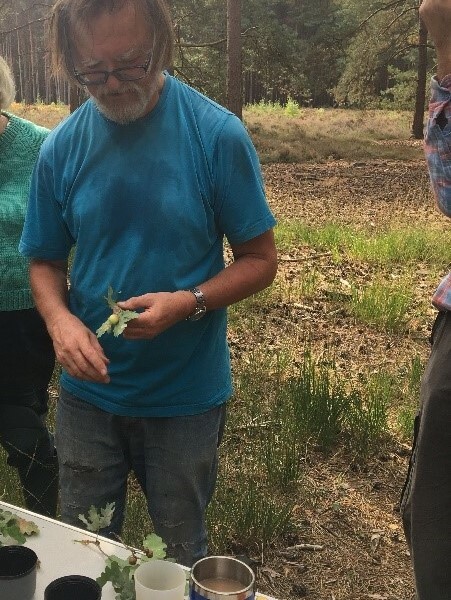 The makers of the galls shown below are the larvae of gall wasps that stays in the plant matter (gall) until they mature into the adult insect. These larvae use the galls for shelter and a food supply causing the abnormal growth in the host plant. 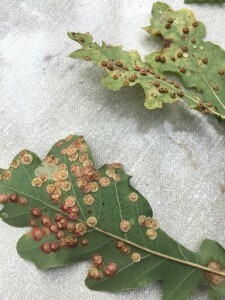 (See images below 1 bottom, common spangle galls; top, silk button galls & 2 – marble galls). This cutting of the leaf was carried out by a leaf-cutting bee (see image 3 above). These are solitary insects with each female building a nest of her own using the leaf material. 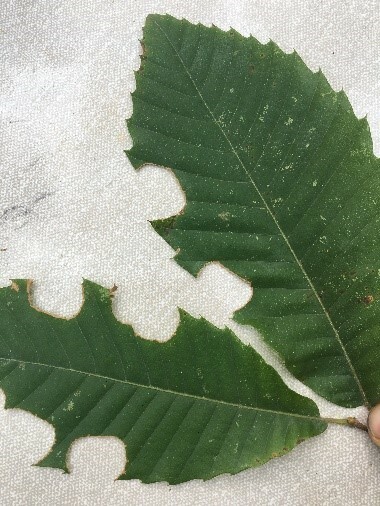 When complete, a single nest may contain up to 20 cells that have been constructed from several hundred pieces of leaf. 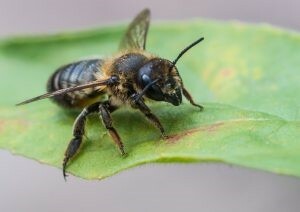 Leaf-cutting bees (Megachile species) will use hollow plant stems or holes 7-8mm in diameter drilled in wood as a nest site. Similar holes are used by other solitary bees, particularly the red mason bee (Osmia bicornis). 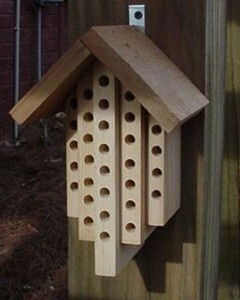 It is easy to make nest boxes for these bees (see this info sheet) or you can buy nest boxes from garden centres. Winter Volunteer Season has begun!